Live oak planted on Arbor Day in memory of Stephen Gregory Grich, a junior electrical engineering student at Clemson University (1989-2012). Once there was a tree and she loved a little boy” is the first sentence in the children’s book: The Giving Tree. This story chronicles the lifelong relationship between a boy and a tree. From boyhood to his golden years, this tree selflessly gives all that it has to the boy: leaves, shade, a place to hide, and so on. (I won’t spoil the ending for you.) Each time I read this story by Shel Silverstein, I’m reminded of Arbor Day, a day that emphasizes the importance of trees in our lives. I first learned of The Giving Tree many Arbor Days ago when I was 12. Since then, I’ve read the story hundreds of times and celebrated many Arbor Days in many states. Most often these one-day tree-planting ceremonies were accompanied by speeches, poems, and songs acknowledging the importance of trees. National Arbor Day, founded by J. Sterling Morton in 1872, is always the last Friday in April. South Carolina has been celebrating Arbor Day since 1934. It falls on the first Friday of December, which was Dec. 6 this year. It falls on the first Friday of December, which happens to be an ideal time of year for planting shrubs and trees. Although the top-growth goes dormant, the roots of newly planted shrubs and trees continue to grow throughout the winter months as long as the soil temperature remains above 45 degrees F. So, when spring arrives, the fall-planted shrubs and trees will have produced an extensive root system that will sustain them throughout the stressful months of summer. This Arbor Day at Clemson University we conducted a ceremonial planting of a live oak (Quercus virginiana), which was planted in memory of Steven Gregory Grich, a junior electrical engineering student at Clemson (1989-2012). In front of the Strom Thurmond, family members, friends, and visitors gathered to place a marble headstone in remembrance of Grich, a junior electrical engineering student at Clemson. Although Arbor Day may only be celebrated once or twice a year, you don’t have to recognize the benefits of trees just twice a year. Daily I am reminded of the importance of trees in our lives. Around our homes trees surround us with the seasonal beauty of their leaves and flowers, and their attractive bark and branch architecture. They offer privacy and hide unsightly views. Trees and shrubs provide food, shelter, and nesting for wildlife. Pollen and nectar for hummingbirds, butterflies, and bees are additional bonuses. Their roots keep soil in place and increase water movement into soil to reduce surface runoff from storms. Trees save energy and money. The shade provided by deciduous trees planted on the southeastern and western sides of your home can reduce indoor temperatures by 8 to 10 degrees in the summer and reduce air conditioning costs up to 30 percent. In the winter, their leafless branches allow the sun to warm our homes. When trees are used as a windbreak on the north side of a home to intercept cold winter winds, they can save from 10 to 50 percent in heating costs. National Arbor Day, founded by J. Sterling Morton in 1872, is April 29 this year, always the last Friday in April. South Carolina has been celebrating Arbor Day since 1934. It falls on the first Friday of December, which was Dec. 6 this year. 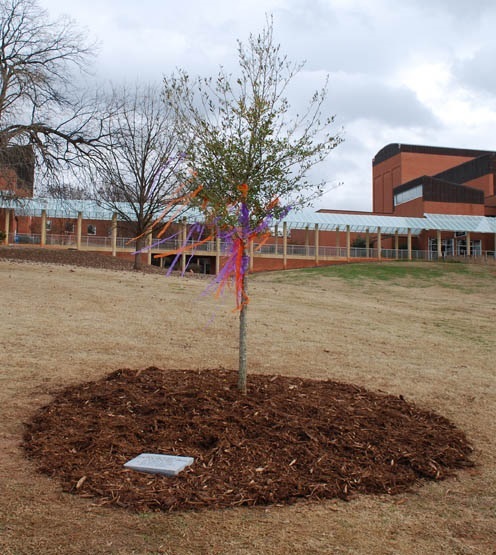 On Arbor Day a live oak was planted in memory of Steven Gregory Grich, a junior electrical engineering student at Clemson. 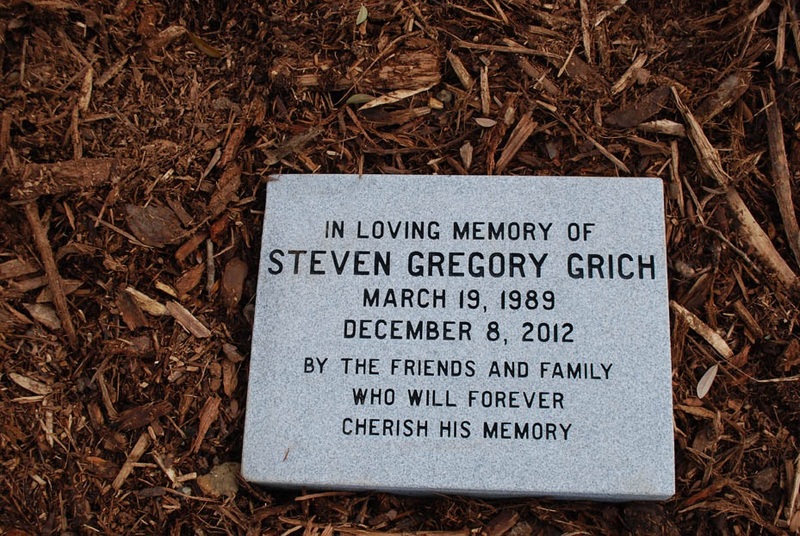 Family members and friends of Steven Gregory Grich and friends gathered at 11 a.m. on campus Friday to place a marble headstone in remembrance of Grich, a junior electrical engineering student at Clemson. Arbor Day at the national and state level encourages us to plant and care for trees. So although Arbor Day may only be celebrated once or twice a year, you don’t have to recognize the benefits of trees just twice a year. Daily I am reminded of the importance of trees in our lives.